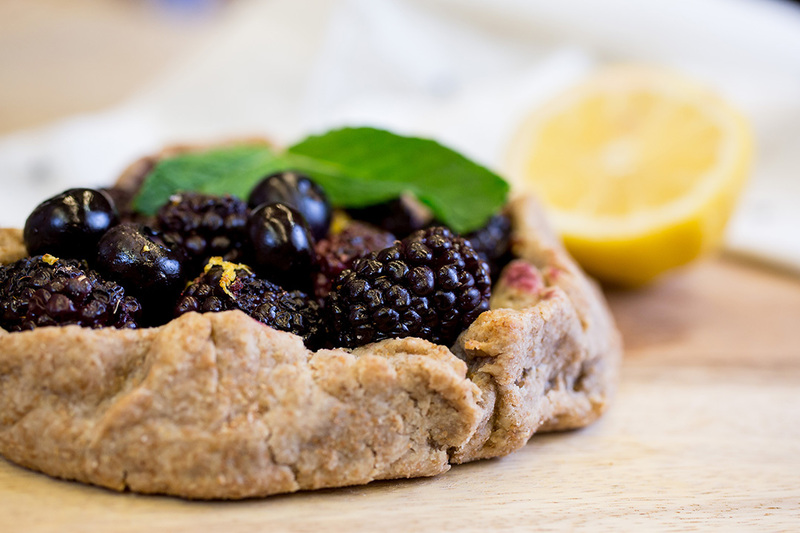 For a tangy, sweet breakfast treat, whip up a batch of these crostatas featuring summer fruits. Find more Farmers' Market inspired recipes in our Farmers' Market Cookbook! 1. Preheat oven to 450 degrees F. Grease a baking sheet or line with foil. 2. In a food processor, combine ½ cup sugar, the flour, and the salt. Add butter cubes and pulse several times, until the mixture is crumbly. Add the water 1 tablespoon at a time until the dough comes together. 3. Shape dough into a thick disk and wrap in plastic wrap. Store in the refrigerator for 1 hour or in the freezer for 20 minutes. 4. Divide the dough into 4 equal portions and roll each into a ball. Use a rolling pin to flatten the dough into ¼ inch thick rounds. 5. Spoon ¼ cup of the fruit into each round of dough, leaving a 1 ½ inch border around all edges. Sprinkle lemon or lime zest on top and give each fruit filling a squirt of lemon or lime juice. Sprinkle remaining sugar over all of the fruit. 6. Fold dough edges toward the center, firmly pinching together the seams between the folds (this will prevent your crostata from unraveling as it’s heated). Fruit should still be visible in the center of the dough pocket. 7. Bake the crostatas for 12-14 minutes, until brown around the edges. Remove from oven and allow to cool before transferring to serving plate. Serve at warm or room temperature.